BMO World Elite MasterCard Review: Which Card Is Right for You? One of the best ways to get the most for your money is to use a rewards credit card. The right card allows you to earn points or cash back that can benefit you for spending you’re already doing. When you are smart about the way you use a rewards credit card, you can come out ahead in the long run. 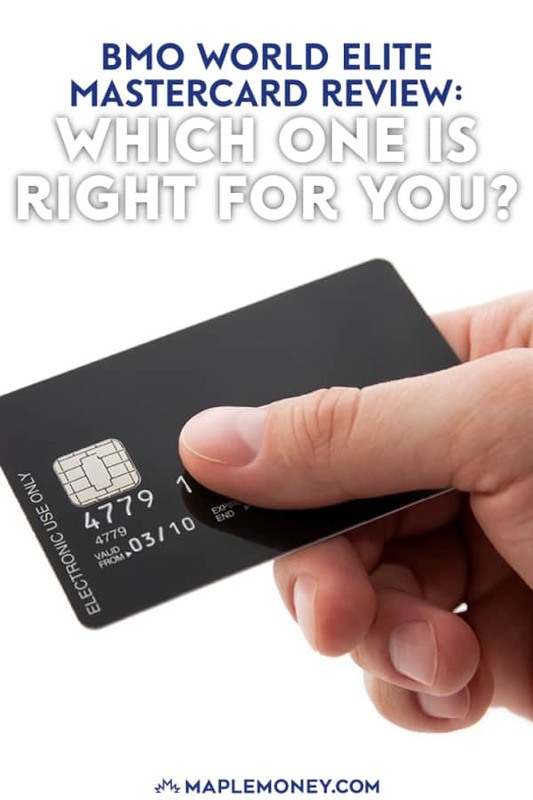 Deciding on the best credit card for your situation requires that you think through what matters most to you and that you look for a program that will give what you will use — and get the best results from. If you are looking for a travel credit card, the BMO World Elite Mastercard might be the way to go. I use this credit card myself for most of my spending. In addition to the travel points, I like the access to the Priority Pass program and the travel insurance that comes with this credit card. But those aren’t the only features you can get with this BMO World Elite card. There are no rotating categories with this credit card. Instead, you earn two points (2%) for every dollar you spend on the card for any purchases. You can also get four free lounge passes per year with this card. This is an advantage if you travel frequently and find yourself in want of a place to relax while you are in an airport. Right now, there is also a 30,000-point signing bonus, which translates into a $300 travel credit at BMO’s Travel Center. Using the Travel Center to redeem your points is pretty straightforward. You get one cent for each point that you have. When you use the points in the BMO Travel Center, you can easily figure out how much you have to redeem. 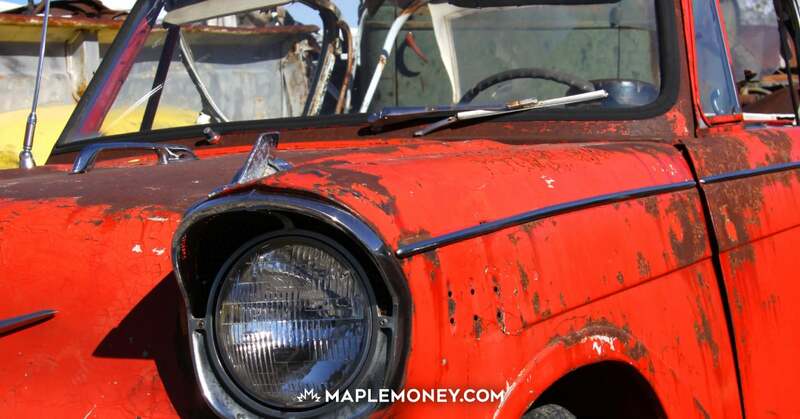 An additional perk is the price match guarantee that BMO offers. This means that you can get the lowest fare advertised to the Canadian public. If you want to make the most of this card, do a price comparison using one of the travel aggegrators, like Expedia, Hotels.com, and Travelocity. Once you see what the fares are, you can head over to BMO’s Travel Center and redeem for those passes. Your points also cover all flight charges and taxes, and you don’t have to worry about blackout dates and picky airlines. This card is ideal for a frequent traveller. You can earn points quickly by making every day purchases, and then redeem for travel without very much trouble. If you aren’t as interested in earning BMO Rewards points, you can benefit from a cash back credit card. Even though I’ve ranked the BMO CashBack World Elite Mastercard as the #2 cash back card, the reality is that it might actually work better for you than my #1 pick, depending on your spending choices, and your priorities. Additionally, there are some perks that come with this card that you won’t see with other comparable cash back credit cards. With this cash back credit card from BMO, you receive 1.75% cash back on all your purchases, regardless of category. This is a fairly high rate when compared to other cash back credit cards, even though it isn’t the highest rate. One of the nice things about this cash back card is that you don’t have to worry about restrictions on cash back earnings. You can use the card anywhere, and there are no caps to your earnings, nor are there tiers that can reduce your overall cash back earnings. You can also receive some additional benefits when you use the BMO CashBack World Elite Mastercard for most of your purchases. Usually, you need to get a travel credit card in order to access travel medical insurance. However, with this card, you get access to such BMO rewards as out of province and out of country medical insurance, car rental insurance, and trip interruption insurance. This card also comes with free roadside assistance. If you don’t travel too much, and you want cash back, but would like perks for the occasional trip, this rewards credit card might be ideal for you. The BMO World Elite cash back credit card also offers an extended warranty on your purchases and insures against theft or damage with purchase protection. Even though there is an annual fee with this credit card, it doesn’t mean it’s a bad thing. If you use the BMO CashBack World Elite Mastercard for most of your purchases, you might be surprised at how quickly your cash back can add up. If you spend $20,000 a year on your purchases, including groceries, gas, utilities, TV costs, clothing, and other planned purchases, you can see $350 in cash back, plus you get all the other insurance and purchase perks, bringing the value of this card to much more than the annual fee. This is an ideal card for you if you are interested in maximizing your cash back and reaping a few extra rewards on top of it. If you collect Air Miles, this is the credit card for you. There are many ways to collect Air Miles, and using the right credit card can help you super-charge your efforts. The BMO Air Miles World Elite is known as one of the best ways to boost your ability to gather more Air Miles, and see greater benefit. This is because you receive one Reward Mile for every $10 you spend on the card. This includes all purchases. Other credit cards that are co-branded with Air Miles often have limitations on categories that provide Air Miles or limit you to earning Air Miles with your spending at select partners. The BMO rewards version doesn’t have any of these restrictions. All your spending counts all the time. Redeeming your rewards requires that you head to the Air Miles website. Your Reward Miles earned through your credit card spending are combined with other miles you get from other sources. This is part of what makes the BMO Air Miles World Elite Mastercard so powerful. You can rack up your Air Miles faster if you plan your purchases so that you can coordinate your credit card spending with other purchases that result in Reward Miles. Air Miles are also versatile. When you redeem them, you can choose from flights at various airlines, as well as redeem for hotel stays and rental cars. It’s even possible to redeem your Air Miles for cruises and gift certificates for bus travel and other travel. And, of course, you can also redeem your Reward Miles for cash. The versatility of the program, plus the ability to combine it with other earnings strategies, makes this credit card a good pick. However, it’s not just the Air Miles rewards program that offers benefits when you use this World Elite Mastercard. As with other World Elite Mastercard offerings, the BMO Air Miles version comes with generous insurance perks. You receive travel medical insurance, as well as trip cancellation insurance. Rental car insurance is included as well. This can make your trip even less expensive, especially if you can pay with Air Miles and then take advantage of the extra perks offered by the World Elite Mastercard program. On top of all this, you end up with a 25% discount on flights within North America. For the frequent traveller, this is a great perk to enjoy, and a great money-saver. Currently, there is a sign up bonus of 3,000 Air Miles, which can be translated into a value of right around $300. This credit card also comes with Priority Pass membership, providing you with access to business class lounges all over the world. You also get two complimentary lounge passes each year with this program. If you want time to relax, these passes can be a great help. Even with an annual fee, this Air Miles credit card is well worth it. The value of your business lounge passes and the two VIP lounge passes are worth the cost of the annual fee. Add in the other perks, like the exclusive flight discount and the ability to redeem for a variety of free travel options, and you are likely to come out ahead. If you collect Air Miles, and want to build up your miles with your regular purchases, this card can be a great pick. Starting June 10th, there will be a $50 fee for additional cards. While this will reduce the value of these cards for some, depending on their spending, I’ll still be using my BMO World Elite Mastercard. The Priority Pass perks alone are worth more than the annual fee and supplementary card fee combined. Applying for these cards before June 10th will at least save you the additional fee for one year, but if you will need a supplimentary card, keep this upcoming fee in mind. No matter which BMO World Elite Mastercard you choose, chances are that you will be able to earn rewards that you can use to your advantage — to save money. However, you do need to be careful anytime you decide to use a rewards credit card. You want to be able to maximize your rewards without getting in over your head in debt. The best way to maximize your BMO rewards is to incorporate your regular spending into your rewards building strategy. Create your regular spending plan first, deciding on what you will use your credit card for. One of the great things about any of the BMO World Elite cards is the fact that you don’t have to make things complicated with different categories. Instead, everything is constant throughout. If you’re a regular shopper at Costco like I am (my Executive Membership pays for itself), any of these cards would be a great choice. I use the BMO World Elite Mastercard for all my Costco purchases, earning 2%, which beat’s Costco’s own Capital One Platinum Mastercard. Once you know what you will spend your money on, you can use your credit card for those purchases. Keep track of your spending, though, because you don’t want to exceed your budget. Rewards cards work best when you use them with your budget — not as an excuse to make extra purchases and buy big-ticket items you wouldn’t normally get. Make sure you pay off your credit card balance each month. Every time you receive a bill, pay it in full. No matter how good your rewards program is, it won’t offset a big interest rate. The BMO credit cards don’t charge a rate that’s out of the ordinary by Canadian standards, but it’s still more interest than you probably want to pay. Think about how you are most likely to use your rewards. If you know that you don’t travel very much, and you are more interested in cash back, go with a cash back card. If you travel a lot, but don’t collect Air Miles, the main branded World Elite Mastercard is a good choice. On the other hand, if you want to collect Air Miles, while getting a number of great travel perks, that’s the card that might serve you best. 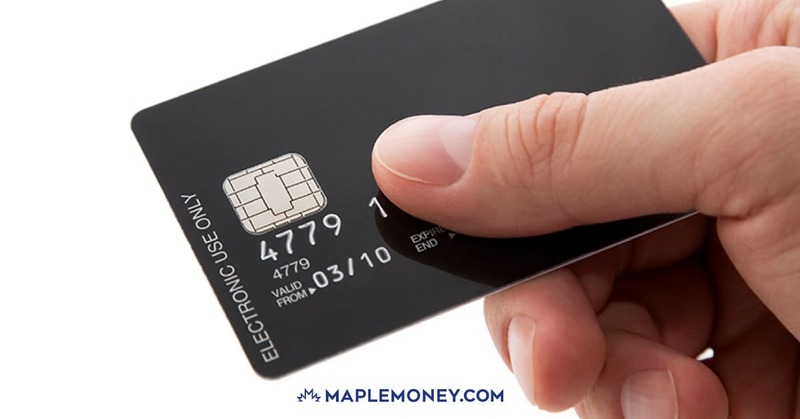 We’re getting a wider variety of credit card offerings here in Canada, and that means that you have more power as a consumer. Take a look at what different card programs have to offer, and then choose what is best for you. Thanks for all your hard work it is much appreciated !!!!!!!! If you maintain a minimum of $5,000 a month in your chequing account, the fee for the Premium Plan is also waived. Effective Dec 1, 2016 BMO is no longer waiving the annual membership fee for the BMO Air Miles World Elite mastercard even if you have the premium bank plan. So now you will pay the $120 plus the $50 for any additional card. There has been a change though to the minimum balance for a premium account – it is $6000 now. Additional cards are still $50. Beware the yearly fee increase once you turn 65. Astronomical! Worse rewards program in the industry. BMO Rewards can only be redeemed on BMO Rewards website. The website charges more for the same flights than other website. When you call the customer service center to ask for the Price Match Guarantee policy, they said it’s only applicable for few select flights operated by Air Canada and Westjet only, as if Canadians do not fly with any other airlines. To top it off, they charge $29 plus tax if you ask for the Price Match Guarantee because you are using an agent to make the booking, when there is no other ways to ask for the Price Match Guarantee. I would definitely not recommend BMO to anyone I know.